Home » Song List » Will You Come to the Manger? As I was thinking about my 2018 Christmas card carol, I realized that when the angel messenger said to those humble shepherds: “…find the babe, wrapped in swaddling clothes and lying in a manger,” it was an invitation to come to Christ. When the new star shone out in the skies, it was an invitation to wise men in the east to come to Christ. The solo version for this song is very simple. The duet version is simple, but it does take some range in the baritone voice. Both versions use the same accompaniment. Will you follow the heavenly hymn? 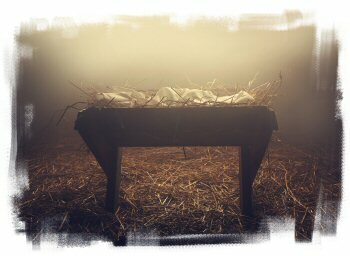 Will you come to the manger of Bethlehem? Will you follow it now as they followed it then? The Gift of God’s love wrapped in swaddling clothes? Will you seek His face? Will you feel His grace? Will you know your Lord and King? Will you come to the Father’s own Son? Will you follow your heart to the Holy One? Not many of us are able to comfort hearts the way your music does. This song is so simple, yet so exquisite. My brother passed away in November of last year, and for reasons unknown to me, the images this song elicits are immensely comforting. It is impossible to miss how wonderfully gifted you are. But, there are many of us, perhaps most of us who have gifts to offer, but not all of us are as committed as you are to sharing your gift with others. So, thank you. Thank you so very much. Thank you – and thanks be to God – for all your beautiful works of musically-expressed faith which you share so generously. This latest work – both text and music – is truly moving. I look forward to using it in our church and with my voice students (worship pastors in training) as I have a number of your other songs. May God bless you and continue to bless countless others through you. I have served as the Ward Music Chairman in the Pioneer Park Ward for 6 years. I am Anglo in an all-Hmong ward. I am challenged with finding appropriate music for Sacrament Meeting, but also songs that can be translated into Hmong. Your music is beautiful, and the recordings with vocals and just accompaniments provides me with a quick way to send your link to participants to listen and learn on their own then come to rehearsal ready to sing. I have used many of your pieces and they have enriched the lives and strengthened the testimonies of our congregation. Thank you so very much for sharing your talent! What a beautiful piece of music. So very blessed to have you create such beautiful music and then to share it with others. Truly are so talented and such a beautiful giving person. Thank you. You nail it every time! I’m so thankful for your generosity in sharing your music and the spirit I feel as I listen. Thank you! I’ve thoroughly enjoyed singing with choirs who have used your music over the last 10 years. Thank you for sharing your special gift to all who will listen. You are one of those special angels who must have sung with the heavenly choir at the time of our Savoir’s birth. Merry Christmas! Have you made a SA duet? This is a beautiful song! Thank you for sharing your gift so freely! I, too share my gift of my voice, freely! I gave a printout to my accompanist and she loved it, too! I’ll be singing it during our Christmas service. This is so beautiful. Do you have plans to do an SATB version of this? Thank you for sharing your wonderful talent and being so generous with it. My husband and I have average voices, but love to sing together. It’s hard to find music in our range, but you have it for us. We will definitely sing your wonderful song at the Christmas Program in our tiny Branch in Stanley Idaho. Jacosa Ainuu is my niece, by the way. What a talent she has! Another beautiful and touching composition. I am going to run through it with my accompaniast and may be singing this at my church on Christmas Eve. Your contributions to music and faith are incredible! Thank you, as always. This is beautiful. To hear Jacosa and Tupua sing this gave me chills. It is truly beautiful. As always, this is a perfectly precious work! thank you so very much for this lovely piece and for loving and sharing you, my inspiration. Oh my! So beautiful, peaceful, loving…. thanks so very much for sharing! Beautiful piece! Thank you so much for sharing such beautiful music with the world.